Downey Plumbing Heating & Air Conditioning is a leading provider of commercial water heaters installation, maintenance and repairs. Our energy-conserving commercial heating and hot water saving solutions are used in various businesses and commercial facilities across California. At Downey Plumbing Heating & Air Conditioning we service various shapes and models of commercial water heaters. 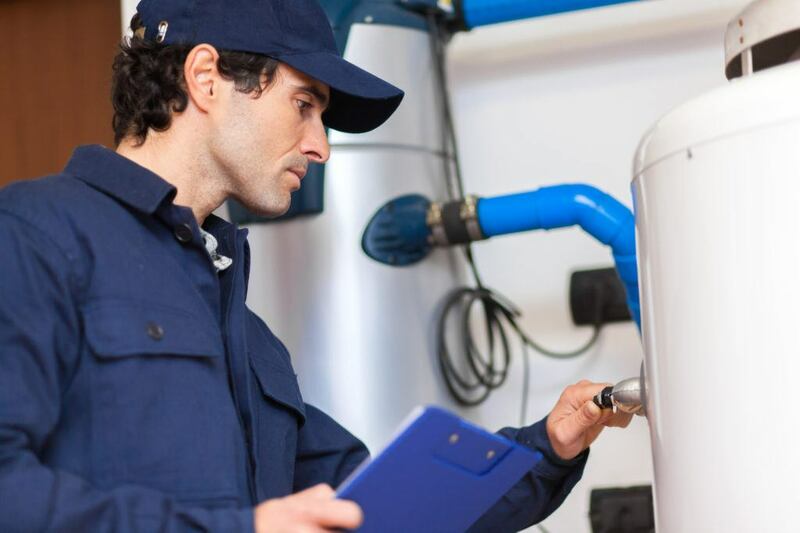 Our expert technicians are just one click away to help you troubleshoot any problem that might arise with the commercial water heater at your business facility. At today’s market there is a wide range of commercial water heaters available. Wall hung and floor standing commercial water heaters with custom-made designs and outstanding performance levels are just some of them. They include natural gas, liquid propane and electric models with standard and high-capacity tanks. In case if you decide to upgrade to a tankless water heater, this will mean significant savings because a tankless water heater won’t constantly heat and reheat water. Commercial water heater products are mostly manufactured for high hot water demand or to meet certain temperature requirements. At Downey Plumbing Heating & Air Conditioning we often install commercial water heaters for apartment communities, HOA’s, restaurants and other commercial facilities. However, commercial and industrial settings take their toll on your water heater equipment and accessories over time. Servicing your commercial water heater with Downey Plumbing Heating & Air Conditioning will assure your peace of mind and protect against any unexpected product failure—whether from malfunction or gradual wear – with our maintenance preventative plans. To find out more about these plans, contact our company. While partnering with our company, you can also obtain the best commercial water heater solutions for your installation or upgrading process. Whether it’s a hotel or hospital, a district heating project or a cathedral renovation, your business will greatly benefit from our professional experience in installing, maintaining and repairing of commercial water heaters. Contact us for any technical advice or purchase assistance.